Be “in the know” — Stay up to date on the latest imaging retail trends, innovations and new product announcements. Sharpen your know-how — The latest news within the imaging industry. Save time — Up-to-date imaging news all in one place. 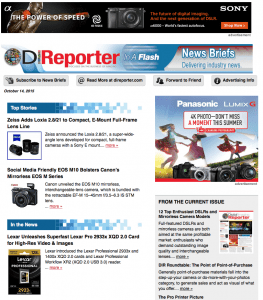 News Briefs is our online weekly newsletter that covers imaging retail trends, innovations and new product announcements making news within the imaging industry.